There are many online image editors on the internet, but Psykopaint stand out from the competition with its incredible easy user interface that can change your ordinary images into real works of art. Create and paint amazing art! No matter how good painter you are, Psykopaint will make sure that your vision is realized into eye-catching image. 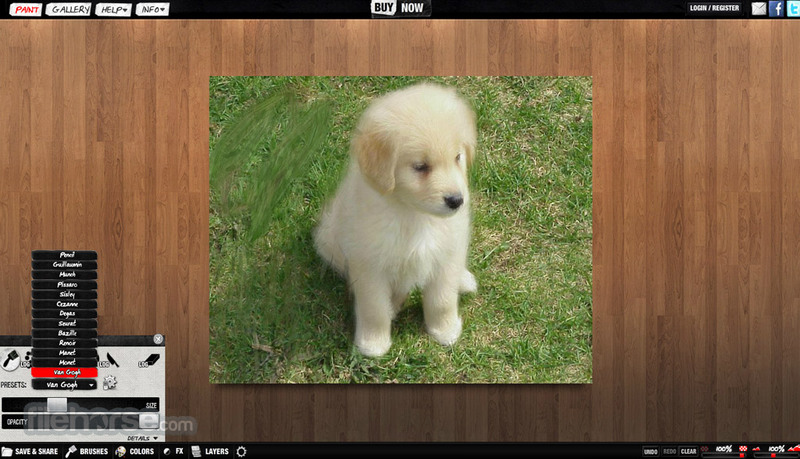 Simple tools with powerful algorithms can be used to both enhance your old photos, or to make brand new creation. Once you are done with painting, downloading image to your hard drive or saving it to online gallery is only one click away. This awesome drawing tool will make you into an artist, even if you did not know that you have the skill for such task. 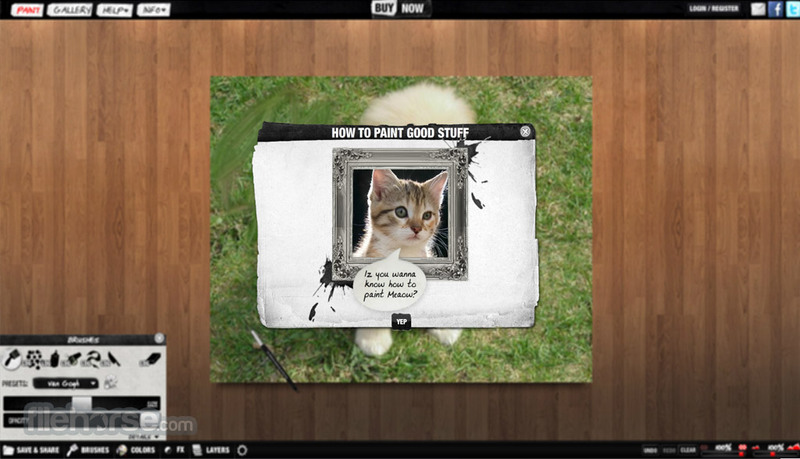 Try Psykopaint now and express yourself! In today’s day and age, everyone who has computer, tablet or a smartphone can easily find countless applications for not only painting, but for editing of images that will with a simple press of a button enhance their colors, add effects, and completely change the atmosphere of your photos. This is perfect for people who like to tweak their photographs to be little more eye-catching and attractive. However, what if you really want to significantly change the look of your picture, in a way that no automatic filter or effect can achieve. If you want to invest a minute or two to paint something by yourself using incredibly intuitive interface that openly welcomes both novices and professionals, giving them access to tools that can rarely be found anywhere else. Psykopaint is an innovative image editing web service that enables everyone to transform their old images and photos into work of art utilizingincredible editor that will automatically do the work for you following your instructions and parameters. 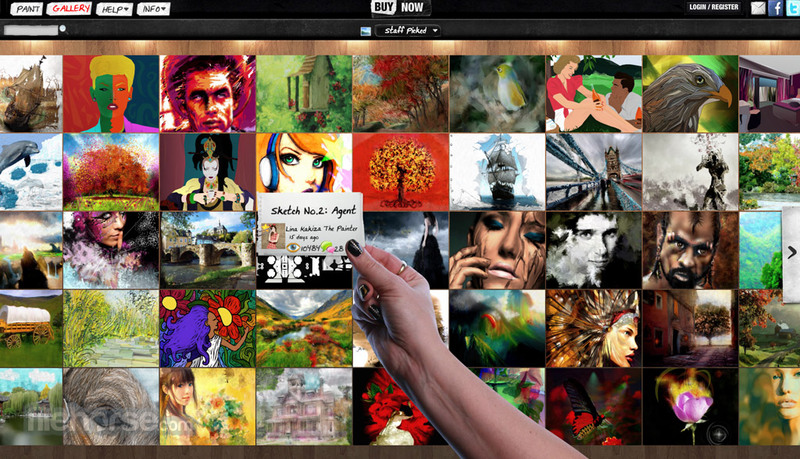 This very artistic-oriented website is intended to be used by everyone from professionals who want to quickly transform their images or photographs into vastly different art style to novices who never even tried to paint something or preform heavy editing on their images. This app does not do all the work automatically, but it can help you tremendously. Simply create your own image, upload it to Psykopaint, choosepainting style, brush type, colors and then start using brushes that will enhance the original surface of your image. To enable that finalized version of the image has your own signature Psykopaint can use your own painting styles, creating really unique images that way. Create and paint amazing art! By using Psykopaint, not only that you can radically change your own photos and images into true works of art in several painting types, giving you the perfect opportunity to again share your images that will catch attention of your friends and family, but you can also access a blank canvas and paint your own original creations using very versatile painting and editing tools. In addition to ordinary home users, Psykopaint and its versatile painting engine can be used on daily bases by many other sorts of people, including photographers, designers, hobbyist, web developers, and many others. There is even a proven effect of art-therapy, which has the power to give users perfect way to relieve stress, improve their focus and boost their self-esteem. After arriving on Psykopaint you will see that his site uses very peculiar art style with many layers placed on top of other layers. This is most easily seen in its editor that will first ask you to choose your canvas (blank, image from online gallery or your own image). Dashboard of the editor features very large work area, and control bar on the top that opens separate tabs – Brushes, Colors, FX, Layers, Options, Save& Share. Undo, redo and Zoom options are off course supported. All the tools for painting feature both simple and advanced tools for modifying their impact on the image. 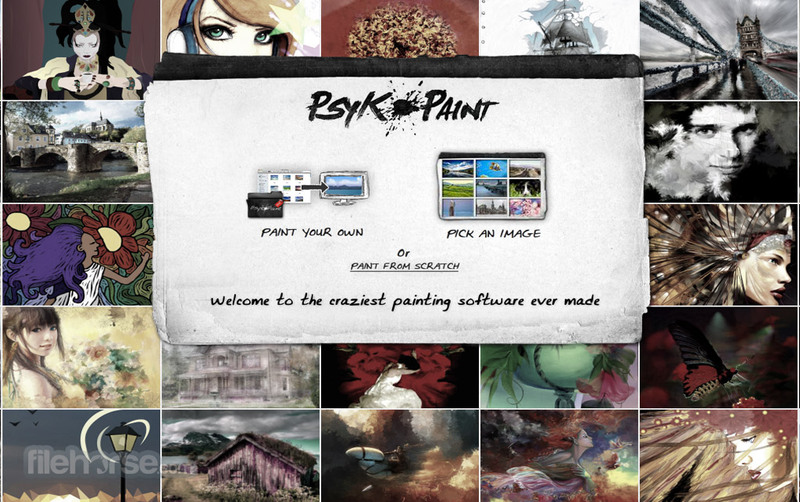 Psykopaint is free for use, without any limitations being placed on the users. Free registration is required to access all but very basic painting tools, and users have the option to order printout of their work for a small fee. Created by the developer Mathieu Gosselin, this innovative image editing application is today used by hundreds of thousands of users who are creating countless of new images every day. 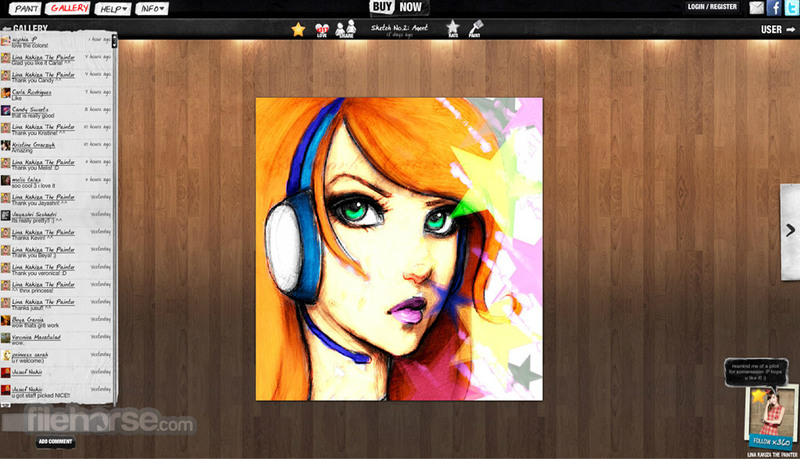 Create and paint amazing art! Psykopaint is a really unique image editor, enabling anyone to become master with the paintbrush, both by working on original paintings and editing old ones.